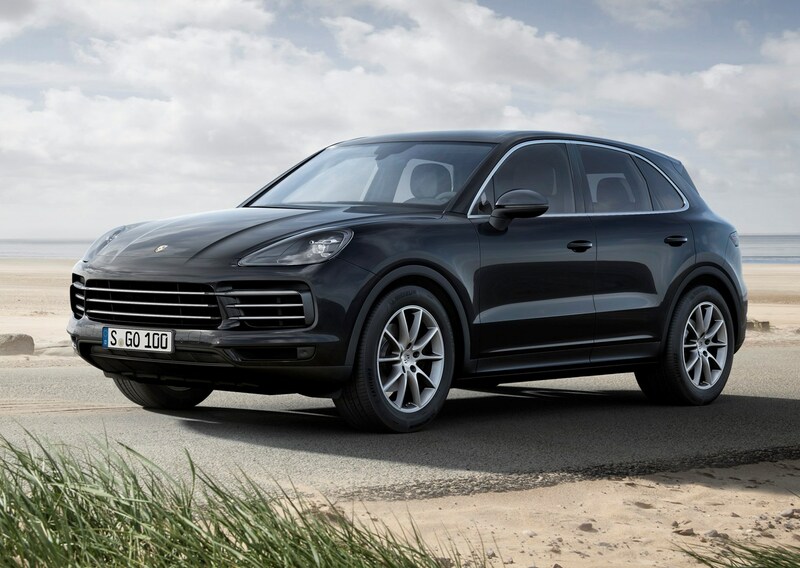 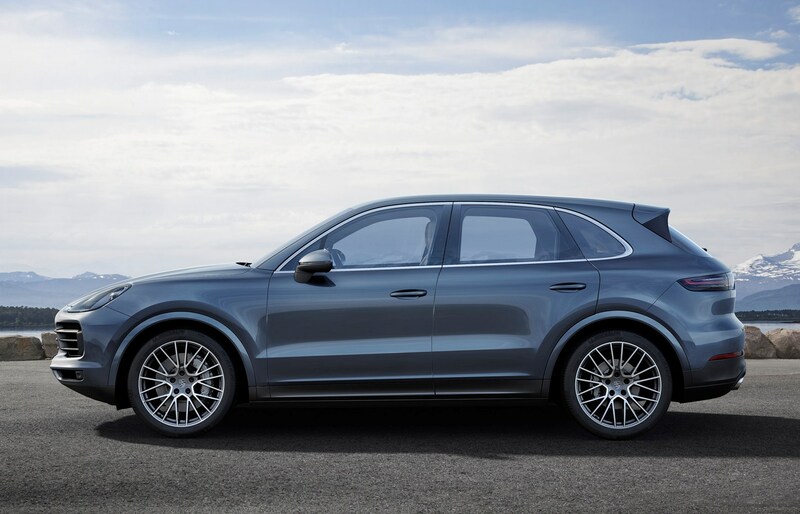 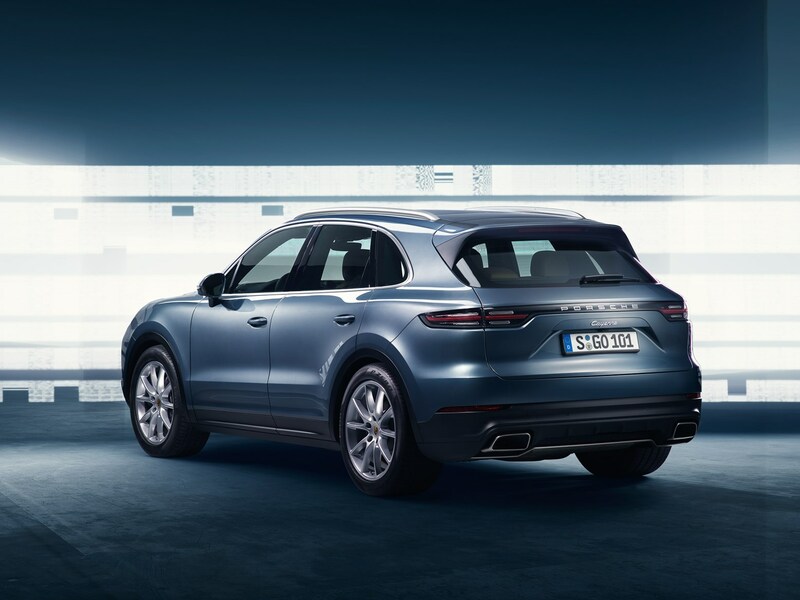 You can currently choose from four different versions of Porsche’s big SUV: Cayenne, Cayenne S, Cayenne Turbo and Cayenne E-Hybrid. 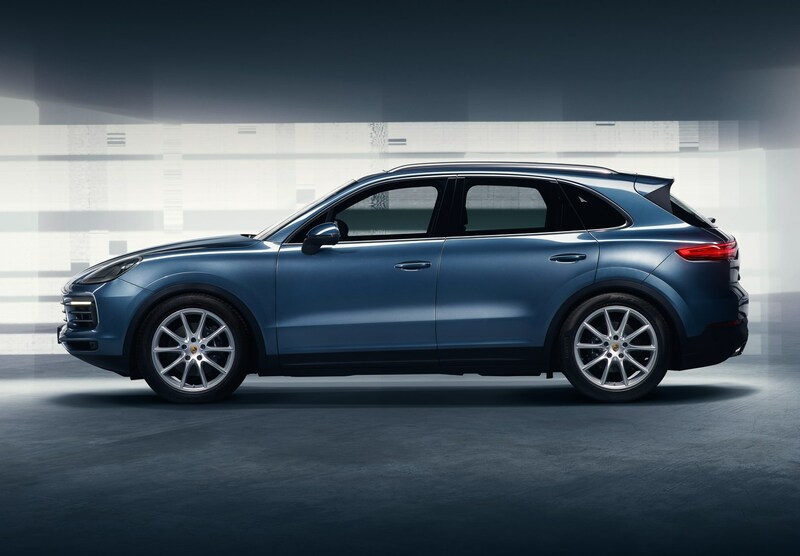 Each trim level is limited to one engine choice and the standard equipment list naturally grows the higher up the pecking order you go. 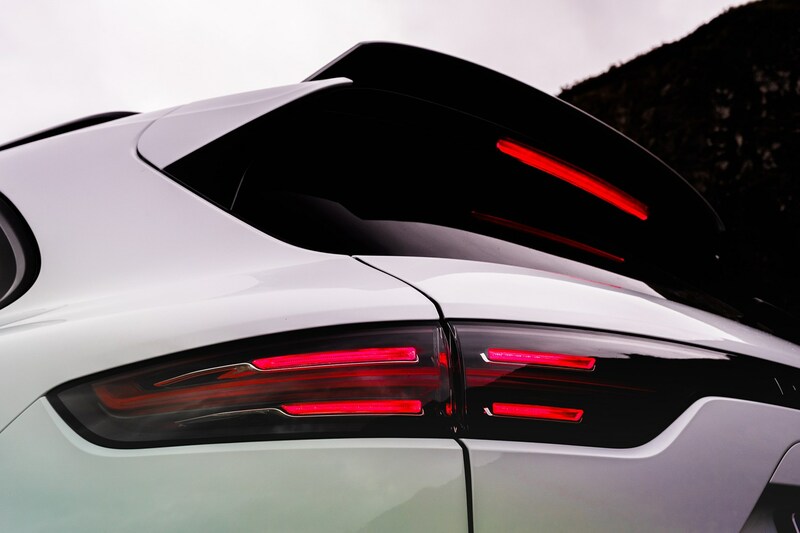 Bear in mind, though, that the standard equipment list increases based on performance parts for the car, rather than additional luxuries. 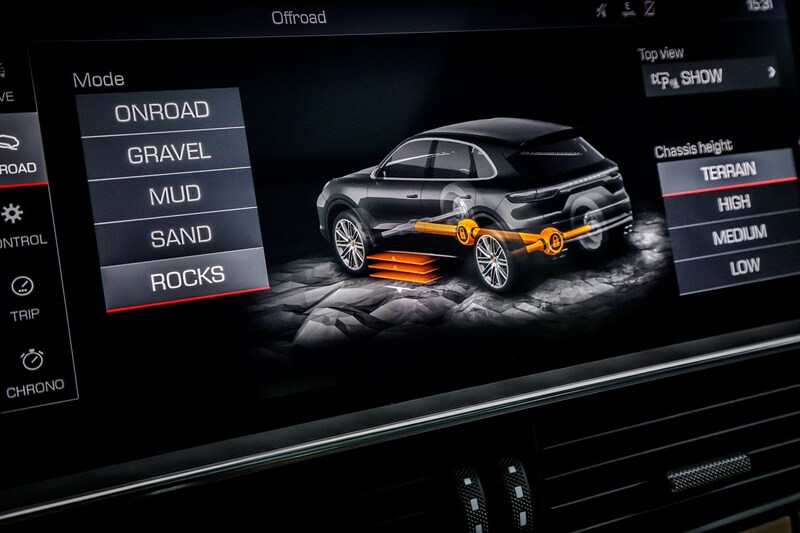 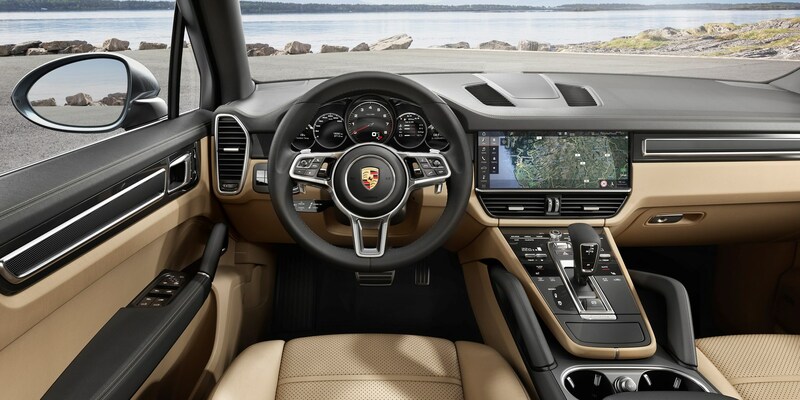 Standard Cayenne and E-Hybrid models come with Porsche Connect Plus which features a 12.3-inch infotainment screen with navigation and Bluetooth telephone connectivity and cruise control. 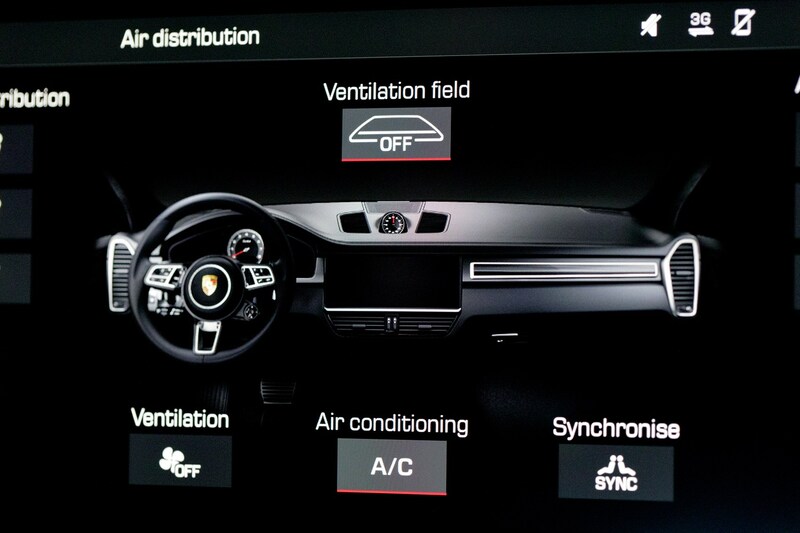 Apple CarPlay screen mirroring is included, too, but weirdly Android Auto isn’t. 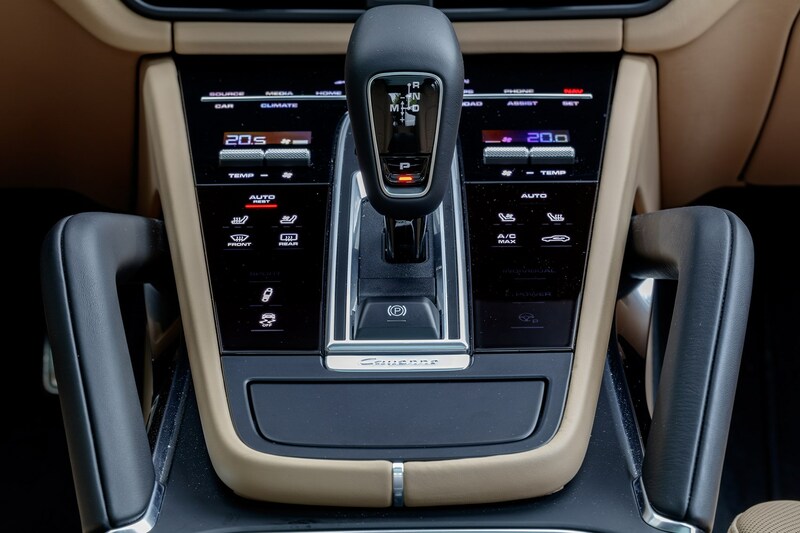 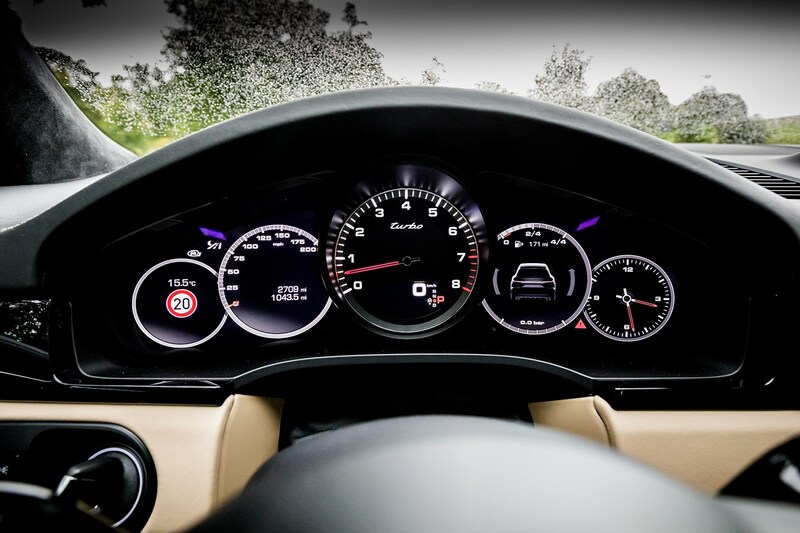 Each car also has 19-inch wheels, LED headlights, automatic lights and wipers, keyless entry, front and rear parking sensors and eight-way electrically operated front seats. 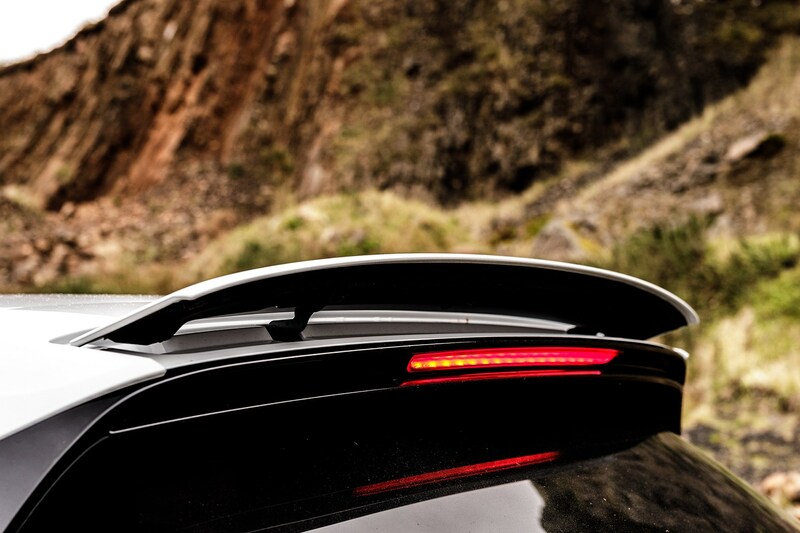 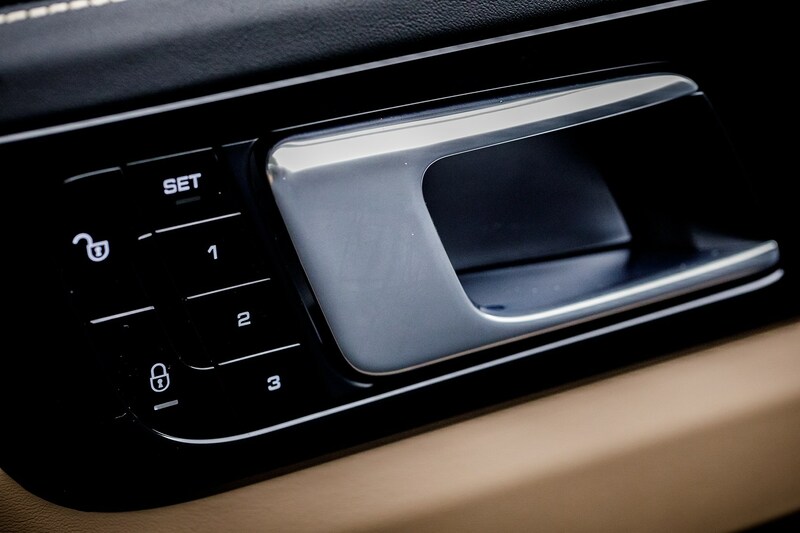 You can also expect leather upholstery, 40:20:20-split rear seats, a powered tailgate and automatic climate control. 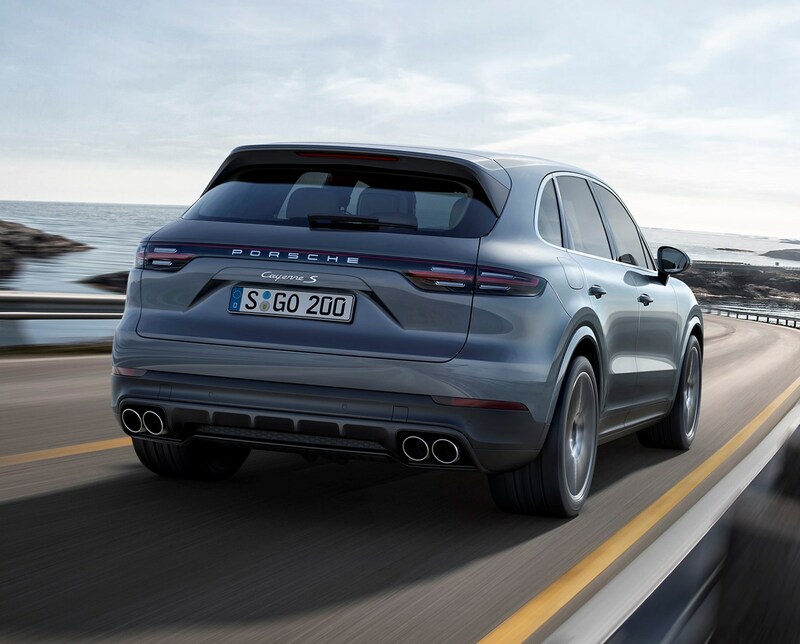 Moving up to the Cayenne S nets you different 19-inch alloys, adaptive suspension (called PASM), larger brakes and of course the more powerful 2.9-litre twin-turbo engine. 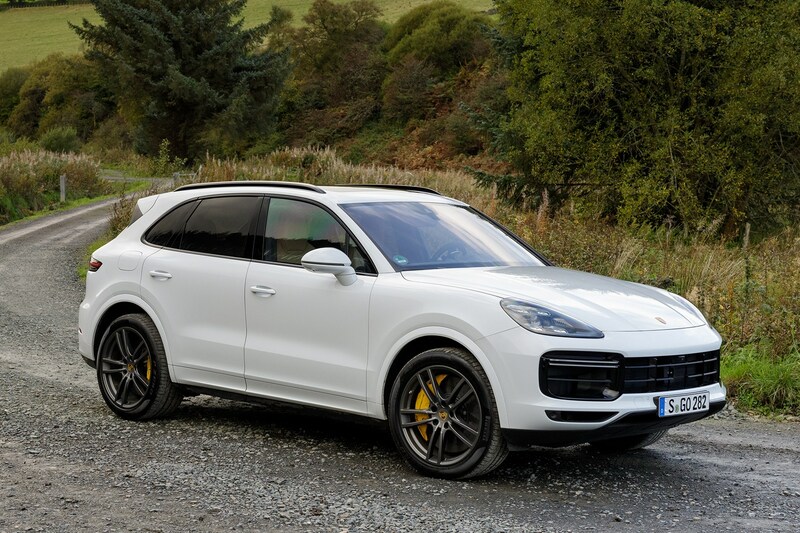 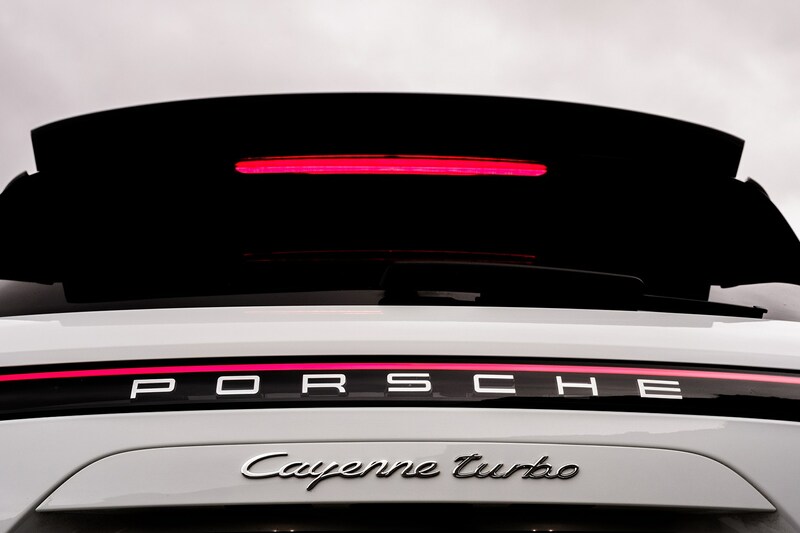 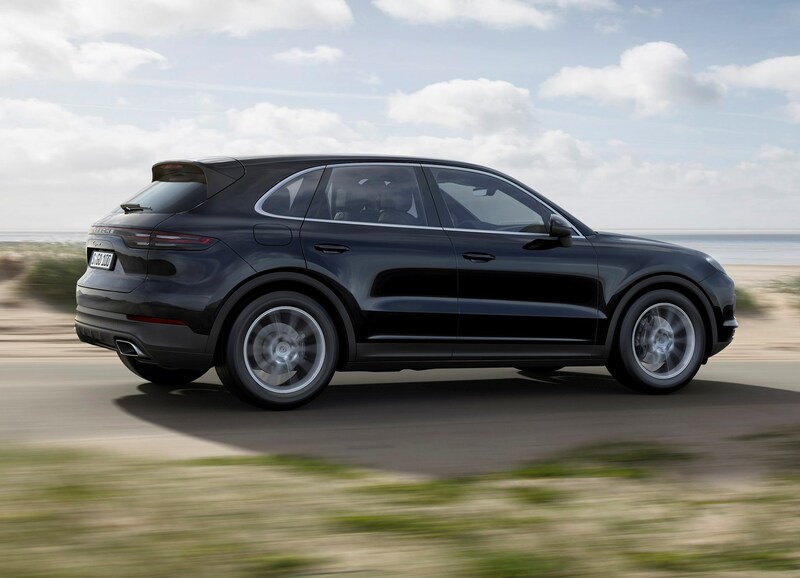 The Cayenne Turbo gets a Bose hi-fi system along with air suspension, tungsten-carbide-coated brakes (also bigger than the S’s), 21-inch alloys, a larger 90-litre fuel tank, an active roof spoiler, sports seats, leather upholstery and an Alcantara roof lining. 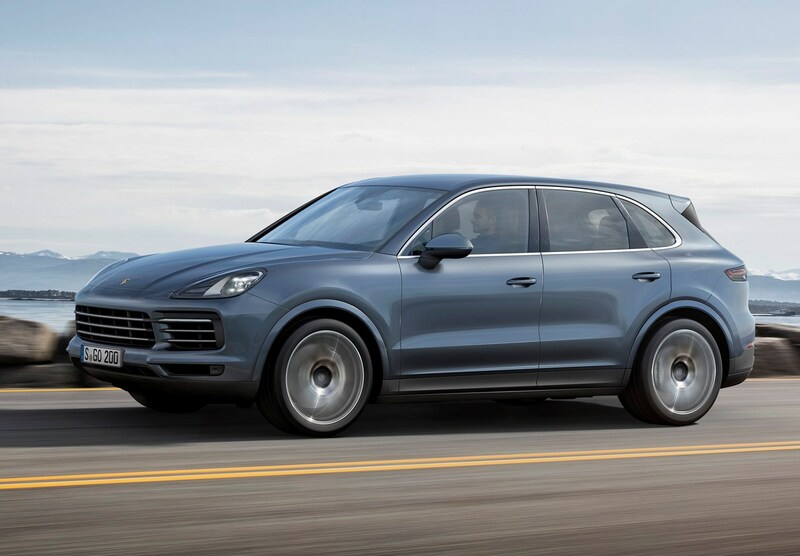 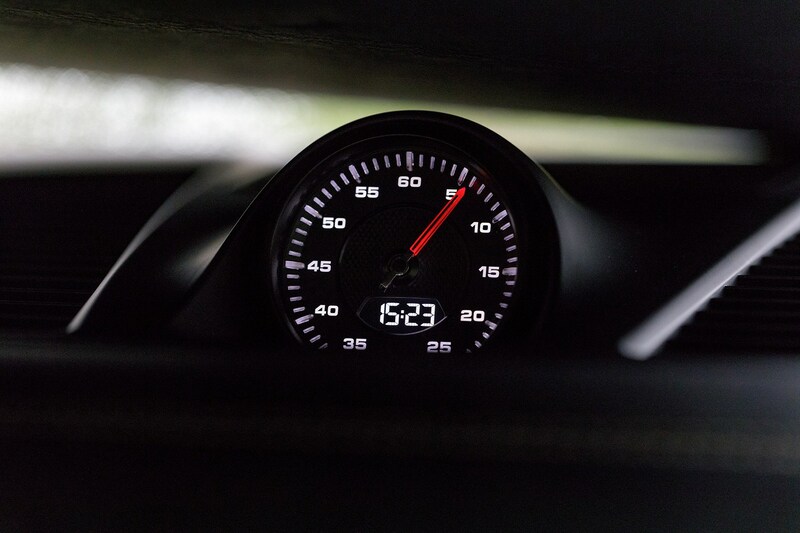 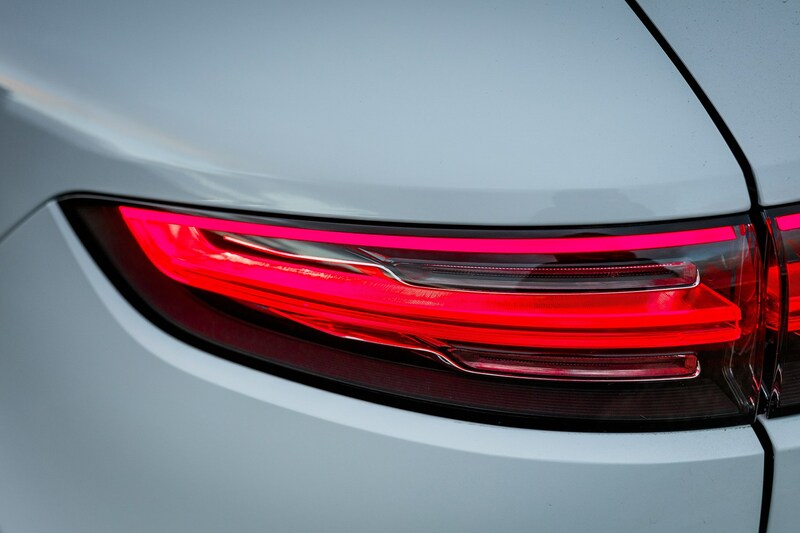 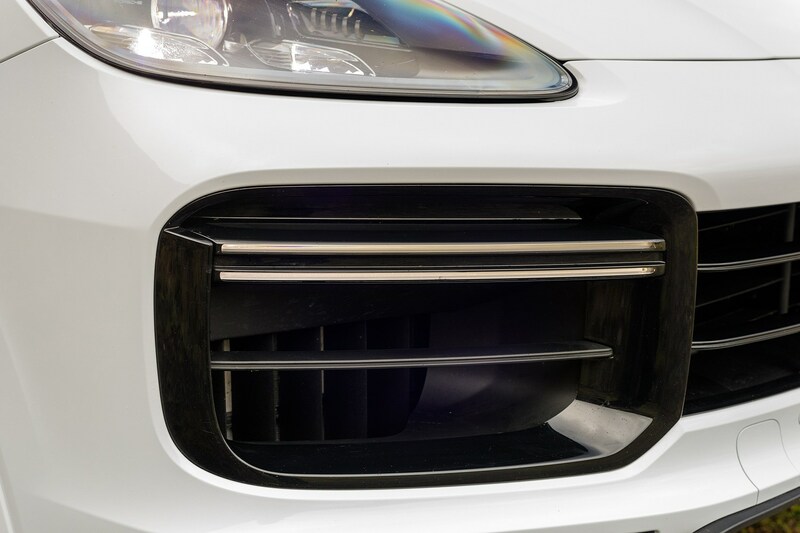 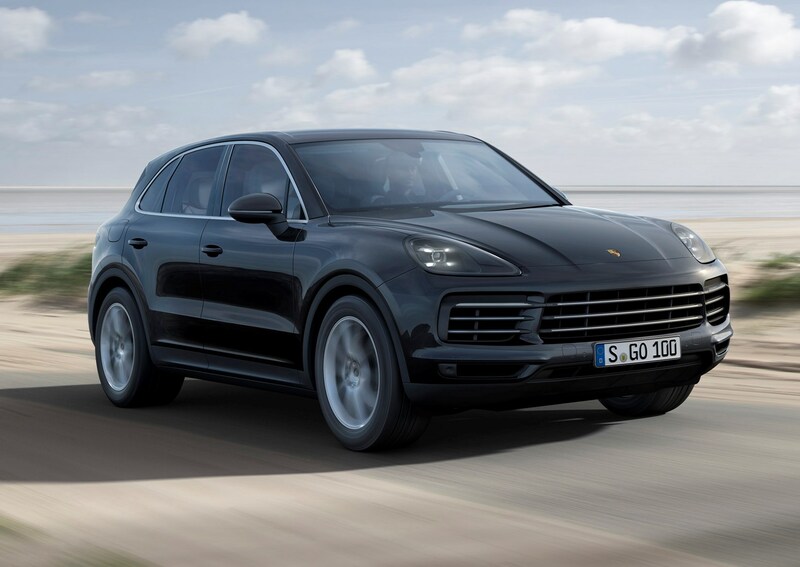 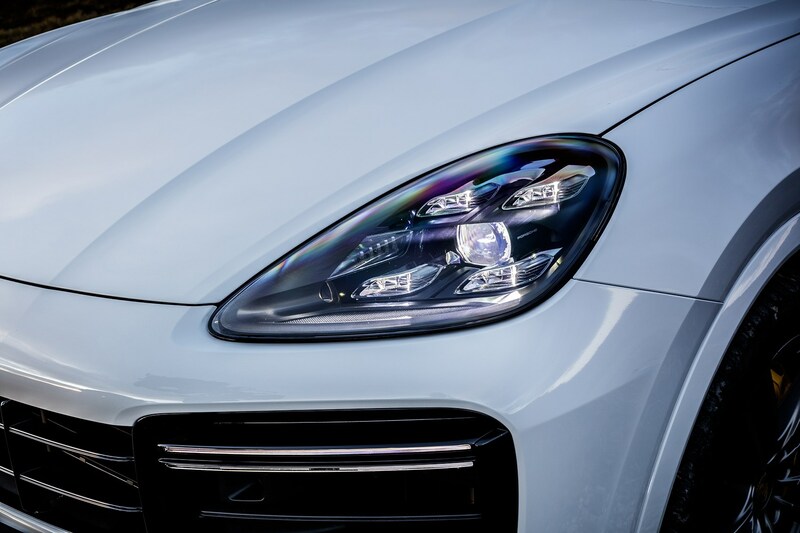 Depending on your Cayenne of choice, there are a huge number of potential mechanical bits, interior luxuries or trimmings to add to your Porsche SUV. 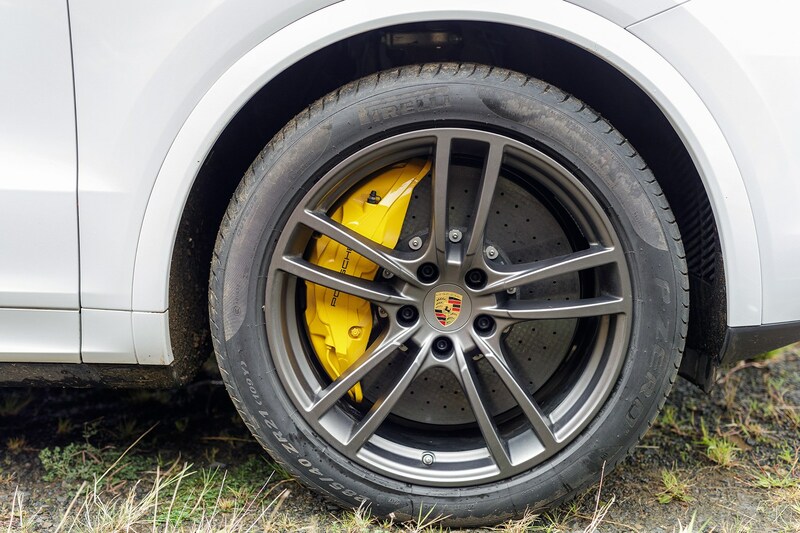 Performance upgrades stem from everything including higher performance Porsche Surface Coated Brakes (PSCD) or a even carbon-ceramic alternative, Porsche’s Active Stability Management and Dynamic Chassis Control, plus rear-axle steering (a first for the Cayenne), the quintessential Sport Chrono Pack and air suspension upgrades for non-turbo cars. 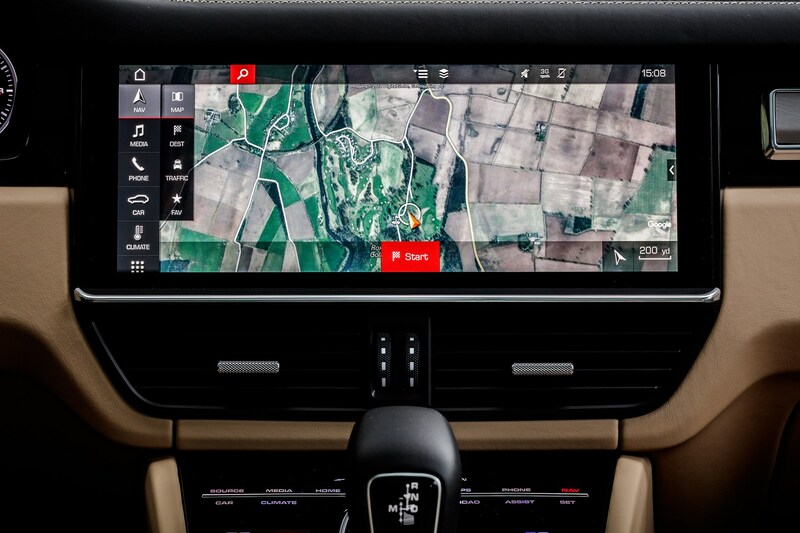 There’s also a huge amount of interior trim tweaks, from wood and aluminium appliques to Alcantara, as well as both Bose and Burmester stereo upgrades. 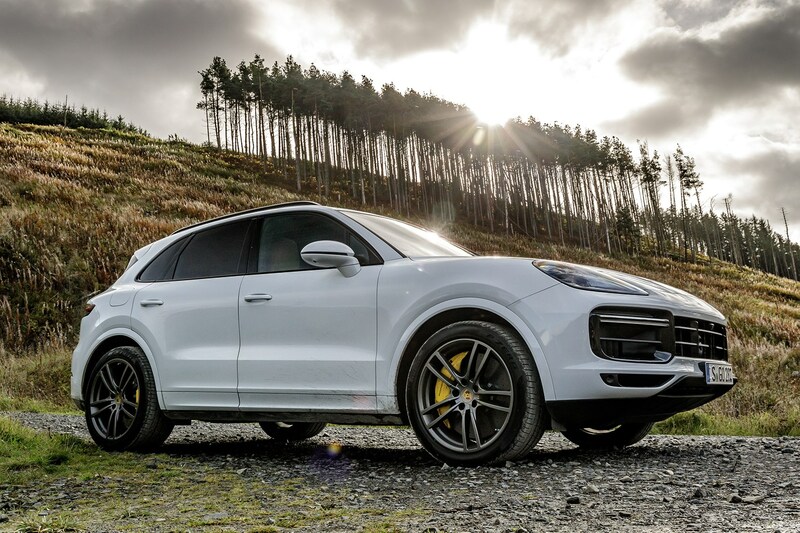 No surprise that when the safety kit-laden Cayenne was crash-tested by the experts at Euro NCAP at the end of 2017 it achieve a full five-star rating. 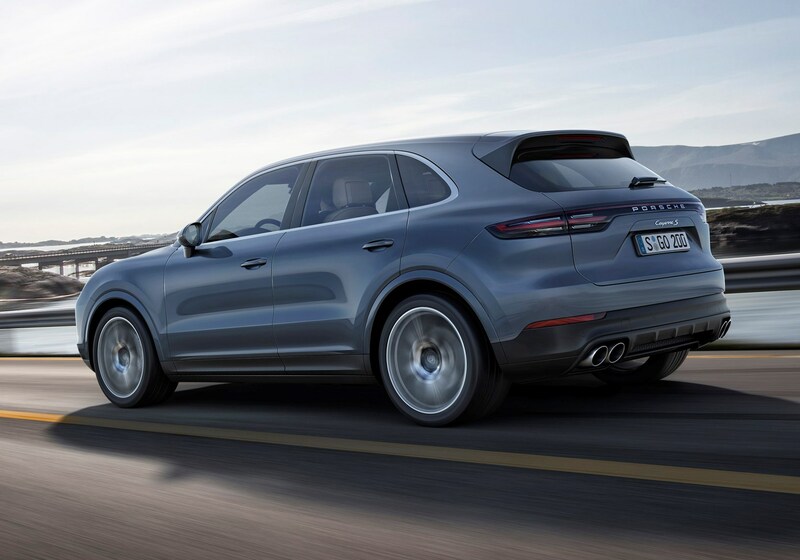 On top of the above features, there’s a good spread of optional extras on hand to bolster the Cayenne’s safety and driver-assistance credentials. 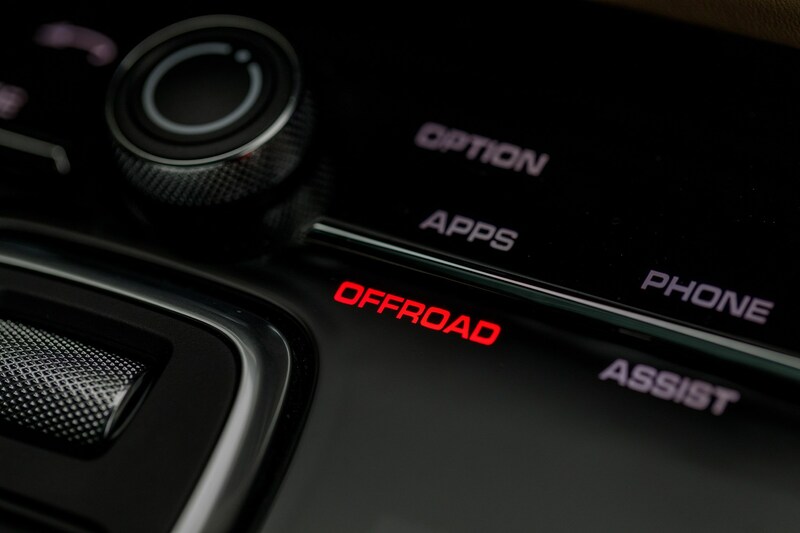 You can order adaptive cruise control, traffic sign recognition, a reversing camera, a 360-degree parking camera, a fire extinguisher, night vision display, lane-change monitor, side airbags in the rear and electric roll-up sunblinds for the back windows. 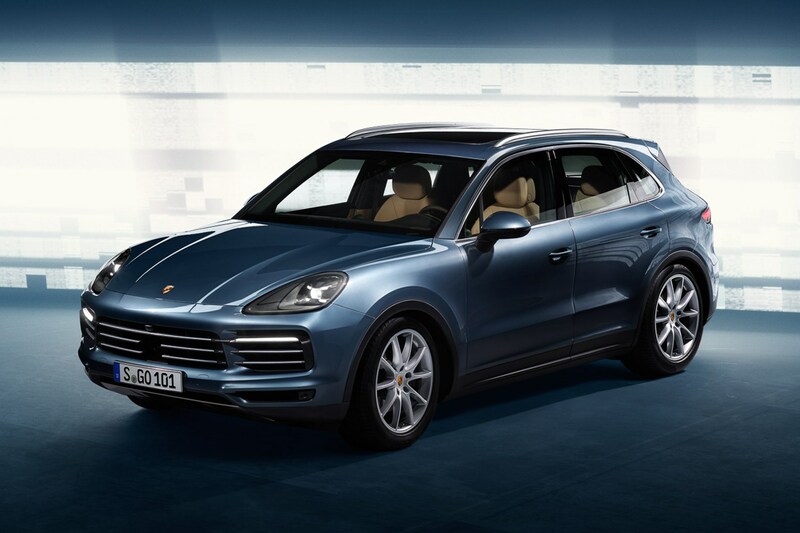 The Cayenne is a big car – in fact it’s larger inside than the previous generation – and you’ll seat four adults perfectly well. 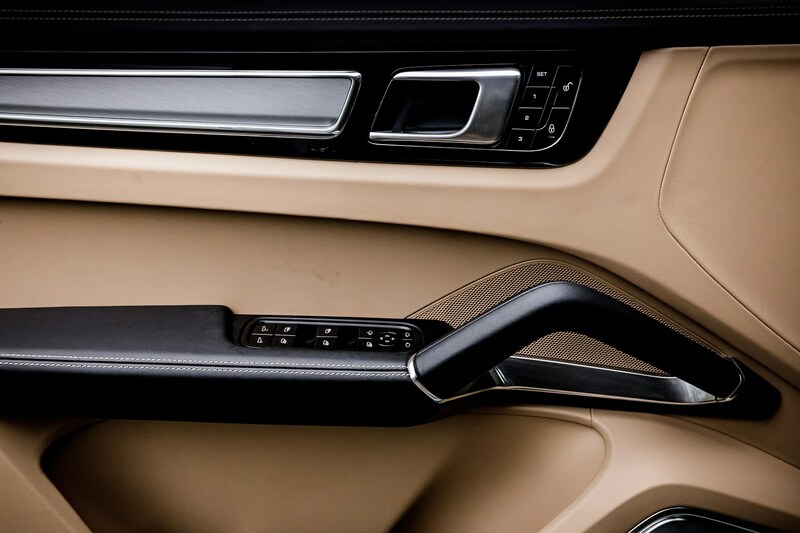 A fifth is possible, though legroom is restricted compared with the outer seats thanks to a wide transmission tunnel and centre console. 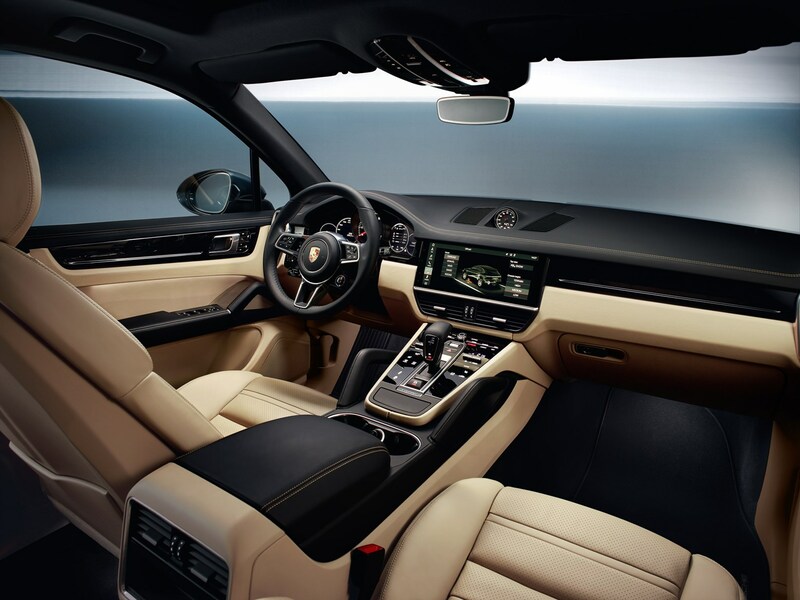 There will be no complaints from those in the front, with a huge amount of adjustment in the seats, and the cocooning feel (thanks to the high central tunnel) doesn’t mean it feels cramped. 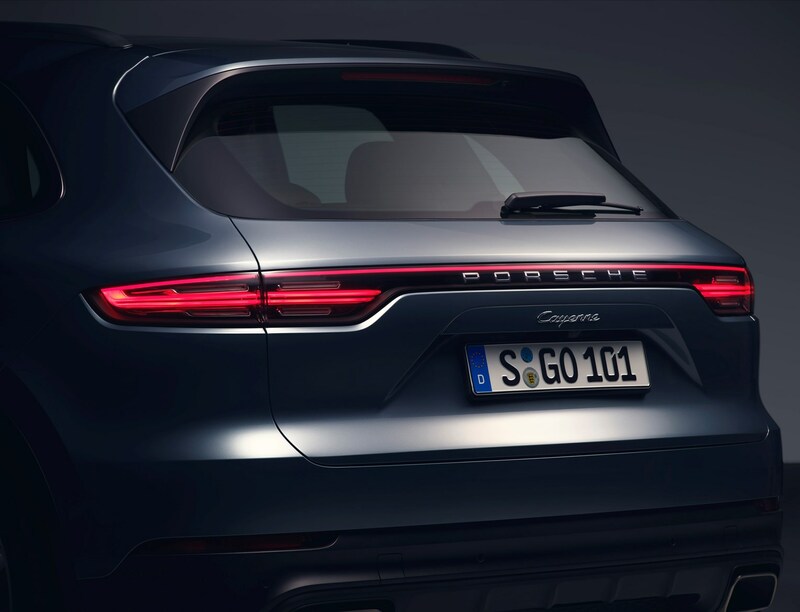 With dimensions such as these, it’s a good job the Cayenne has rear parking sensors as standard – it’ll be a challenge to park in an average-sized UK space between two other cars otherwise. 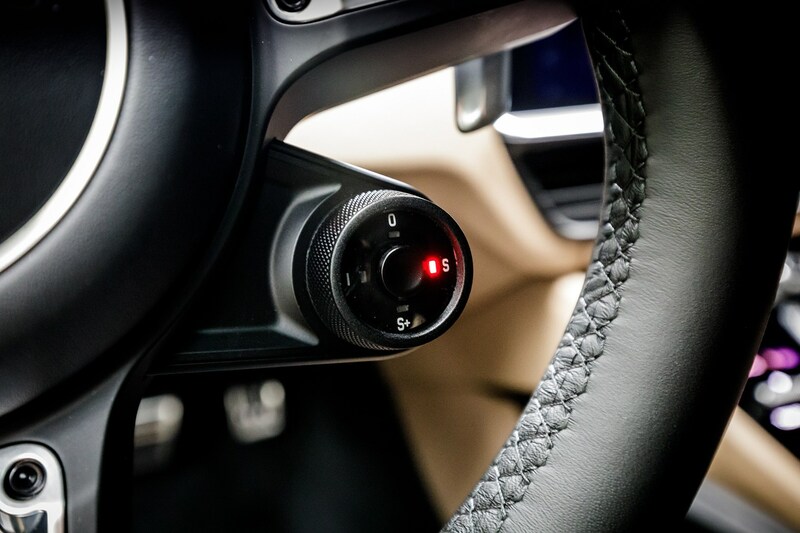 However, its elevated driving position means you’ve got excellent visibility, but we’d still consider specifying a model with cameras to aid manoeuvres. 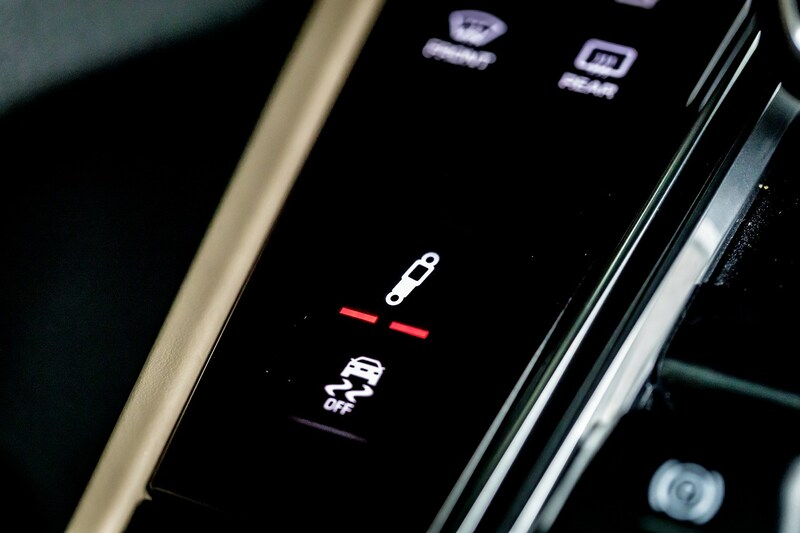 An automatic parking system is available as an optional extra, while a system to park automatically via your phone becomes available later in 2018. 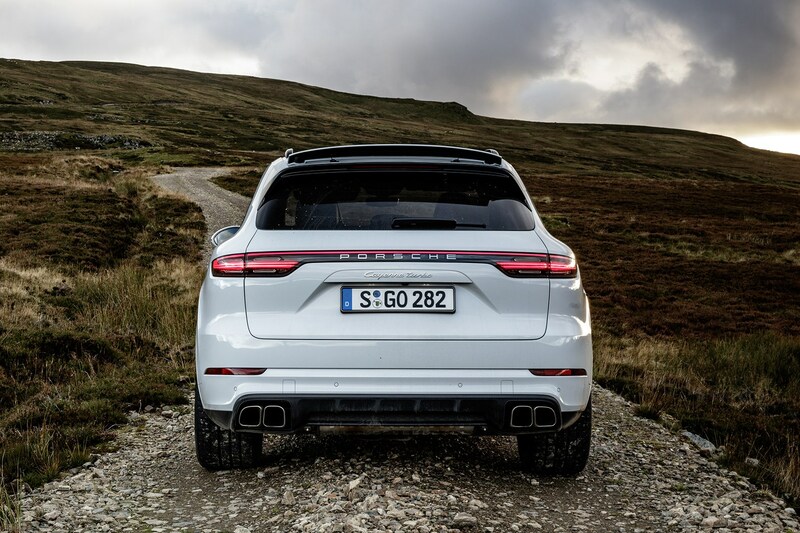 The Cayenne’s boot has grown by 100 litres to 770 with the rear seats up, so it’s already a winner in the practicality race against its predecessor. 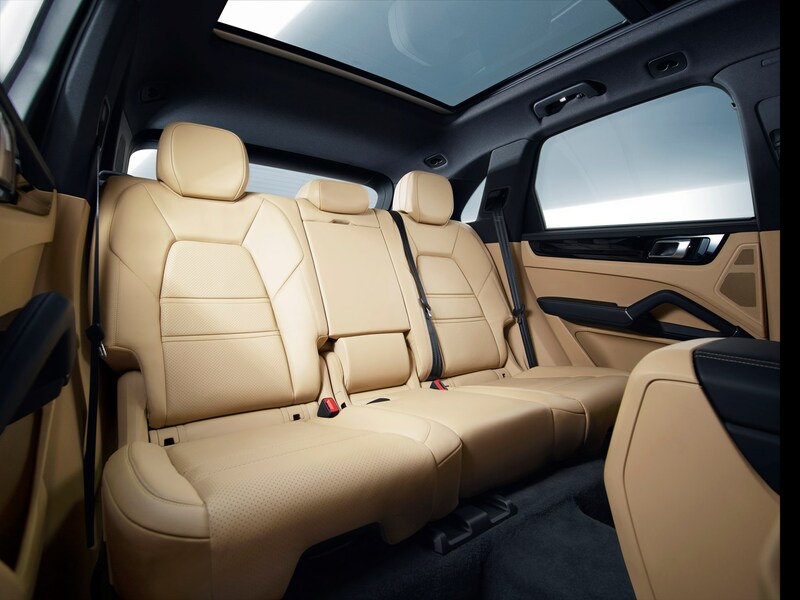 For comparison, a Range Rover Sport bests it (only just) at 784 litres, but it completely trounces a BMW X5. 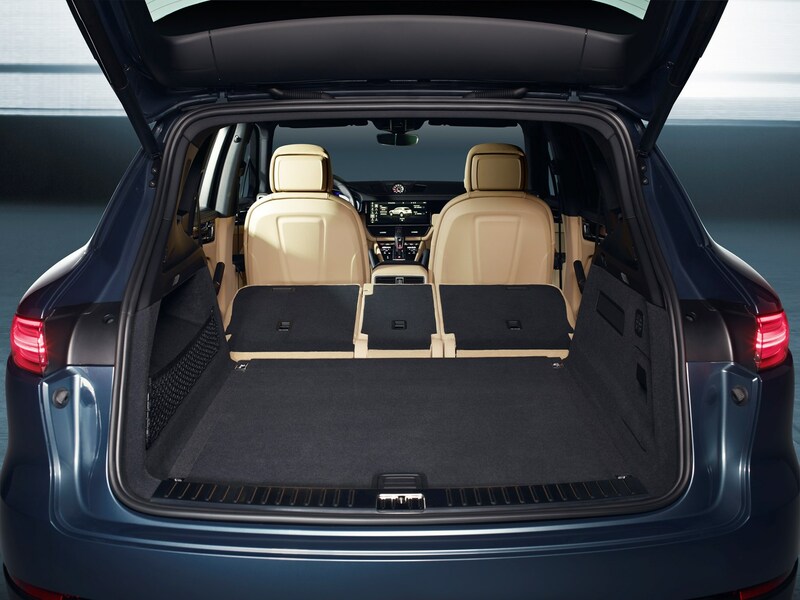 It’s worth noting that, if you buy a Cayenne E-Hybrid, boot space decreases by about 100 litres as the battery pack is located beneath the boot floor. 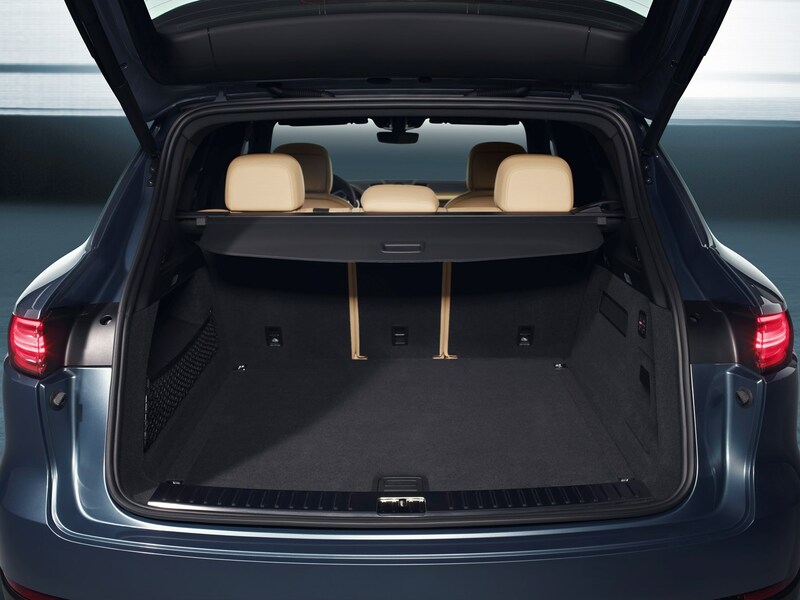 Check the table below to see how the Porsche Cayenne SUV compares to other similar cars in terms of available boot space.